Did you know that doctors continually diagnose a significant case of mesothelioma annually in the U.S.? Louisiana's best mesothelioma lawyers know that most people have a type of meso which forms on the lining of the lungs, but this type of cancer can also form around the lining of the abdomen or heart. New Orleans best abestos attorneys will explain to you that despite federal and state laws that increasingly provide stringent workplace protections, the majority of these cases are traced to job-related exposures to asbestos. It is not surprising that a steady number of people are still getting diagnosed with mesothelioma, even though asbestos use in this country has dropped in recent decades. That's because this type of cancer can take anywhere from 20 to 50 years after asbestos exposure before symptoms actually appear, and a doctor can make a definitive diagnosis. Unfortunately for victims and their families, the issues of liability can be very complicated. While it typically takes long-term exposure to place someone at risk, short-term and even one-time exposures have been linked to this type of cancer. Therefore, issues of causation can be (and usually are) heavily contested. The severe dangers of asbestos were well-known decades ago, yet corporations continued using it extensively through much of the 20th century. These corporations chose to value profits instead of the health and well-being of their employees. In most cases, with the assistance of qualified counsel, a mesothelioma diagnosis can be traced to a specific company or companies that exposed an individual to asbestos, despite the known dangers. Successful asbestos ligation requires experienced counsel who understands the complicated nature of a mesothelioma diagnosis, including how people get exposed to asbestos. Furthermore, these types of cases are time sensitive, and only experienced counsel specifically trained in asbestos litigation should help you decide if and when to pursue a lawsuit against a company that may be responsible for exposing you or a loved one to harmful absestos. Experienced counsel will also assist you in determining what type of compensation is available for your or your loved one's injury. There are several types of compensation for mesothelioma victims, including bankruptcy trust funds, settlements and trial verdicts. Chosing among them can be complicated and confusing. Further, a company can also make an offer that may, on its face, appear fair, but may not adequately cover expenses such as emotional distress, all of your medical bills and loss of future income. Qualified counsel should be able to take the time to explain your options and help you file the appropriate claim for your circumstances. 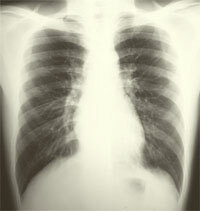 Compensation differs for each mesothelioma claim. It can range from small amounts to millions of dollars. Bankruptcy Trust Funds – There are a number of companies that mined asbestos or manufactured prodcuts containing asbestos that no longer exist or were bought by other companies. This, however, does not mean that these companies do not have any money. On the contrary, in bankruptcy protection, many of these companies were ordered to create funds specifically to compensate asbestos-related victims. These funds are known as mesothelioma compensation funds or trust funds. They can play a an important role in the settlement process because the funds can quickly dispatch a case. Settlement- Some companies decide that settling a claim makes sense because it is cheaper than racking up more legal fees and risking a loss at trial. Some just don't want the bad publicity. In most cases, experienced counsel can assist you in obtaining a favorable settlement. Trial Verdicts - If the company does not want to settle, you may have to go to trial. You want to chose experienced counsel that is comfortable with litigating an asbestos-related trial. Each mesothelioma case is unique, and there are no set guidelines for claim compensation from asbestos exposure. If you win, the amount owed to you depends on the facts of your case and other factors, such as medical costs and lost income. CONTACT US ONLINE OR CALL US AT 504-527-6225 TO SET UP A FREE CONSULTATION.